If you are not entirely certain about any aspect of Worldwide Parcel Service delivery options, please do contact us. Before you here are our most frequently asked questions and this should help answer some of your queries. How do I pay for your parcel services? Do you offer cover for high value items in the event of loss or damage? Are the parcel delivery times guaranteed? What labels are required for my parcel? Do I need a commercial/pro-forma invoice for my parcel? Who pays the customs charges for my parcel? Does my item have to be packaged? Can I send a suitcase through your parcel services? Can I send batteries by courier? Can I send a passport or related documents via courier? Can I send Jewellery Via courier? Can I send my mobile phone via courier? Can I send liquids via courier? Can I send alloy wheels via courier? Can I send Christmas crackers via courier? Can I use WPS to return my online shopping? Can I send a tent? Can I send heavy sports equipment? Can I send a 50kg parcel? Can I send DIY equipment and power tools? Can I send computer parts? Yes, our services are door to door, but we also offer a parcel drop-off service, giving you the convenience of not having to wait in for the courier driver. Yes, up to £1000 per shipment for a small extra cost, subject to terms and conditions. Please check our prohibited and restricted items list before taking out cover on your parcel. In the case of a consignment the £1000 cover will be divided equally between the number of parcels in the consignment. Couriers charge the greater of the actual or volumetric weight. Our site automatically calculates this when you obtain a quote from our site, so it is essential that you provide accurate weights and sizes. For more details on volumetric weight please refer to our "Help" section. Delivery times are a rough guide and are not guaranteed, but the delivery success is around 95% within the times specified. Transit times do not include the day of collection, weekends or bank holidays. When you book you must ensure that you only attach the labels emailed to you from us. Do not use any paperwork supplied by the driver. The only exception is with "Interlink", who will supply a consignment note if you do not have a printer. All shipments outside the EU require commercial or pro-forma invoices regardless as to whether the shipment is for business or private/personal purposes. Where due, customs charges are usually paid by the recipient. In the event that the item is delivered without the recipient paying and the charge is billed to us, you will be liable for the charges. Yes. All parcels must be packaged, preferably in a strong cardboard box, with adequate padding to avoid movement of the item within the parcel. Yes you can but in must be in a bow/wrapped in cardboard. We do not allow the shipment of any kind of batteries, big, medium or small on their own. This means that car batteries, personal batteries, sat nav, barcode scanners, camera batteries, etc aren’t allowed. Lithium Ion batteries are generally OK when sent in the device, for example when sending a phone battery, it is OK when in the phone. Due to the risk involved with transporting personal information, i.e. identity fraud, we cannot accept them. We will however happily courier documentation associated with passports, but NOT the passport or any cash or cheque that may accompany the application. Only costume jewellery where the individual items value does not exceed £10.00. All other Jewellery is prohibited. 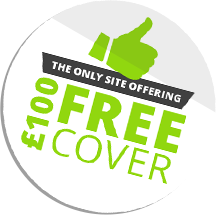 Yes you can but cover is limited to £100.00. The sim card must be removed. You can send liquids as long as they are not hazardous, but we will NOT cover them if they are lost or damaged. We will send alcohol such as wine, but by road services ONLY, not but Air. We will NOT cover them if they are lost or damaged. Yes you can, you just have to make sure that all of your dimensions and weights are correct after they have been packaged up. Sorry, you cannot send Christmas crackers. Of course you can, but check that the company you are returning it to doesn't offer their own service. Of course you can, it has never been simpler, all you have to do is make sure that everything is correctly packaged, measured and weighed. We will but make sure you correctly enter the dimensions for the packaged parcel into the quick quote, and if it is too big make sure to contact us and we will see what we can do for you as we have many contacts. If you are repacking used sports equipment make sure it is all safely and securely packaged for when you send it to avoid any damage in delivery. Yes we do and we can offer very competitive rates to almost anywhere with prices from a range of different couriers. We will allow for anything up to 500kg to be booked using our quick quote section (300 kilos maximum for air services) and if you have anything heavier, all you have to do is email us at email@worldwide-parcelservices.co.uk with your dimensions and weight and we should still be able to get you a competitive quote. Yes you can and you can also cover them for loss or damage. Please be aware that blades of any kind are prohibited so check our prohibited and restricted item list to make sure what you are trying to send is OK.
Of course all of the couriers we offer pick up from your house and deliver to the front door of the required address. Yes at the moment there are no restrictions on the restricted/prohibited items list that would cause us not to ship them however we will only cover them uo to £500. Purchase receipts would be needed for any claim. There may be a few more restrictions on laptops and notebooks so make sure you check before you send.